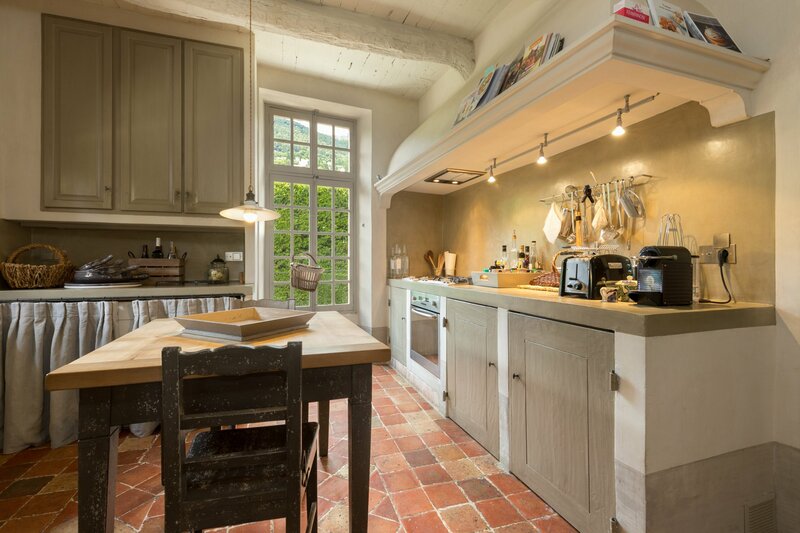 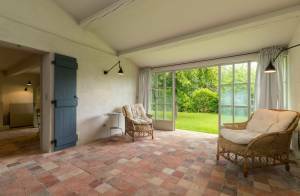 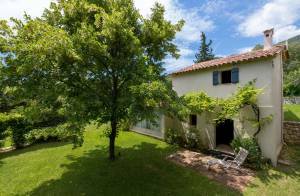 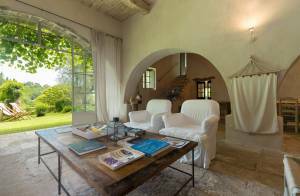 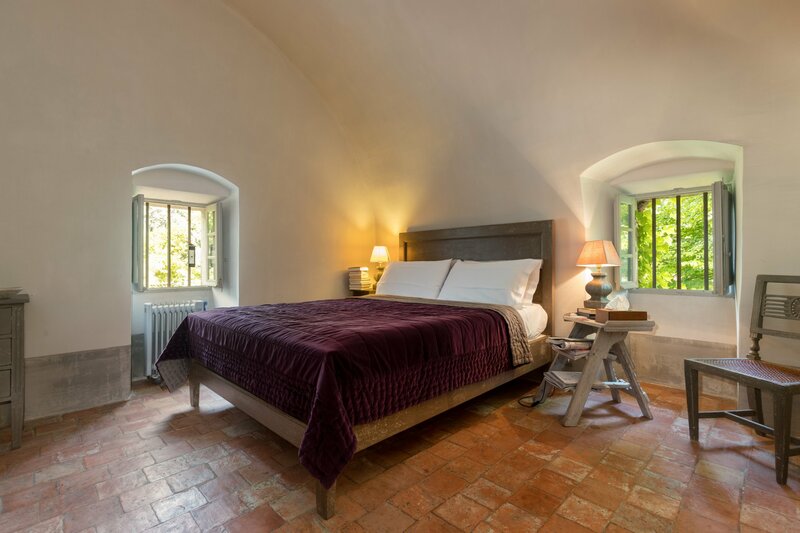 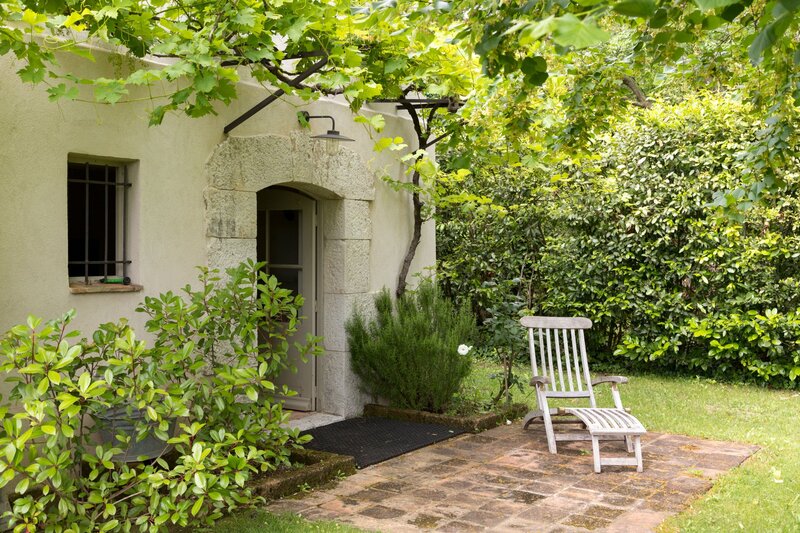 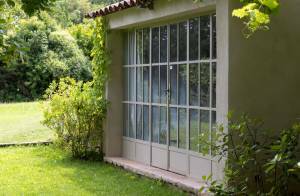 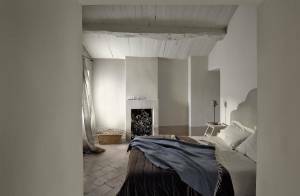 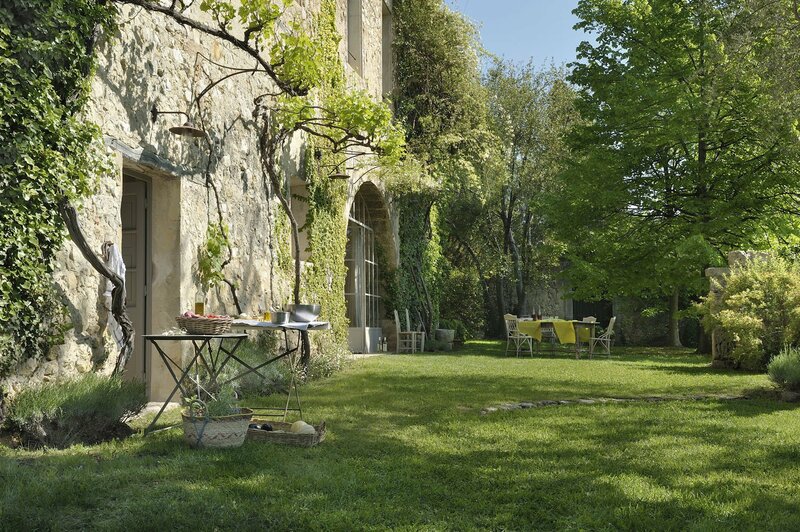 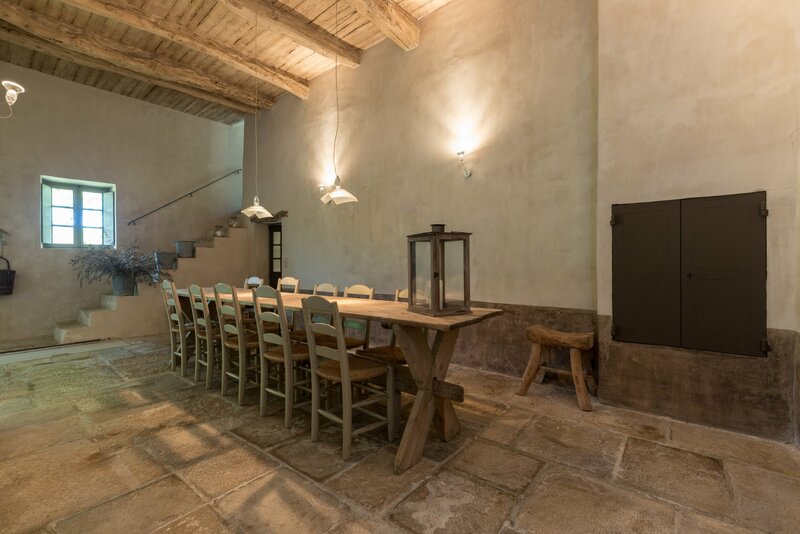 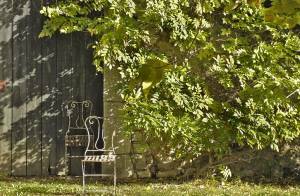 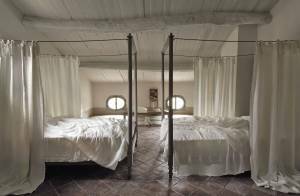 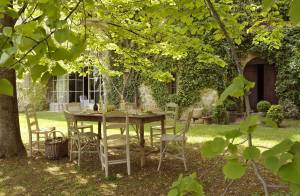 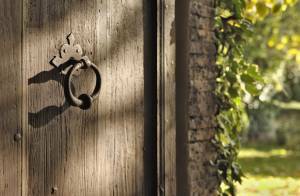 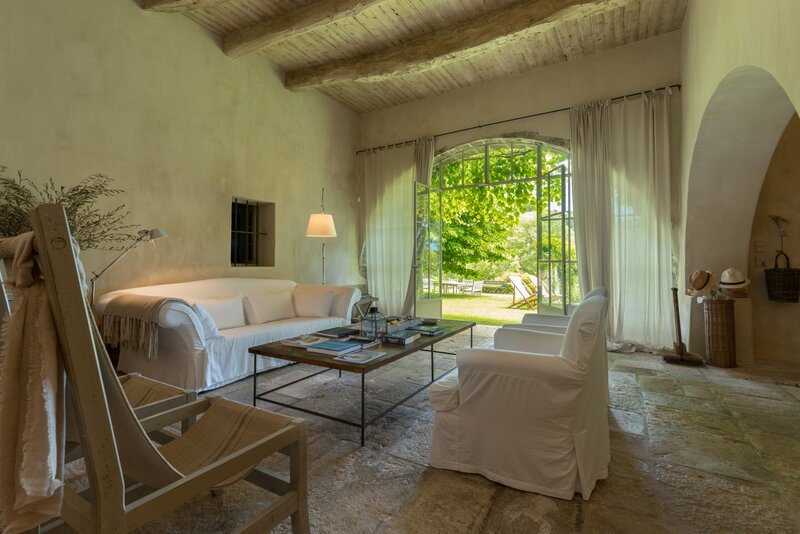 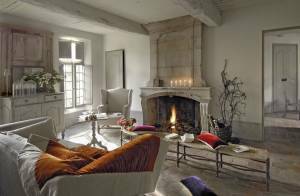 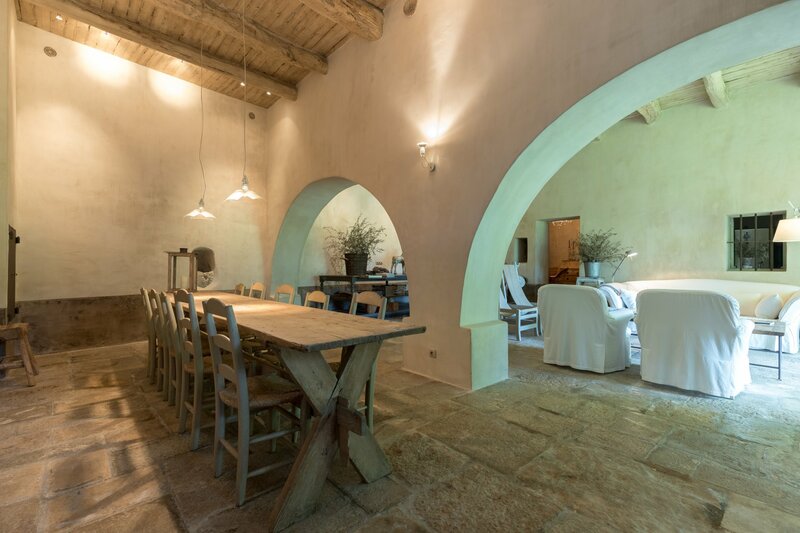 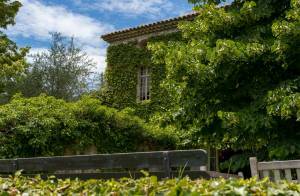 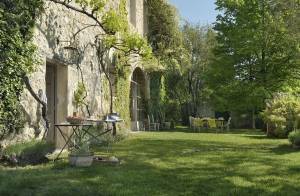 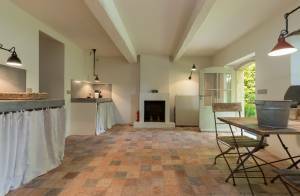 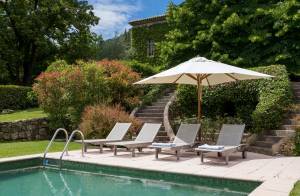 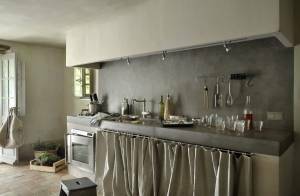 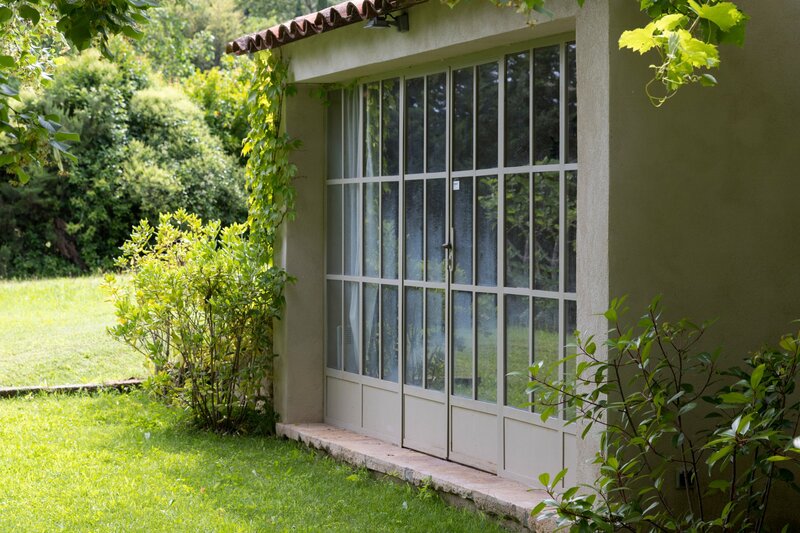 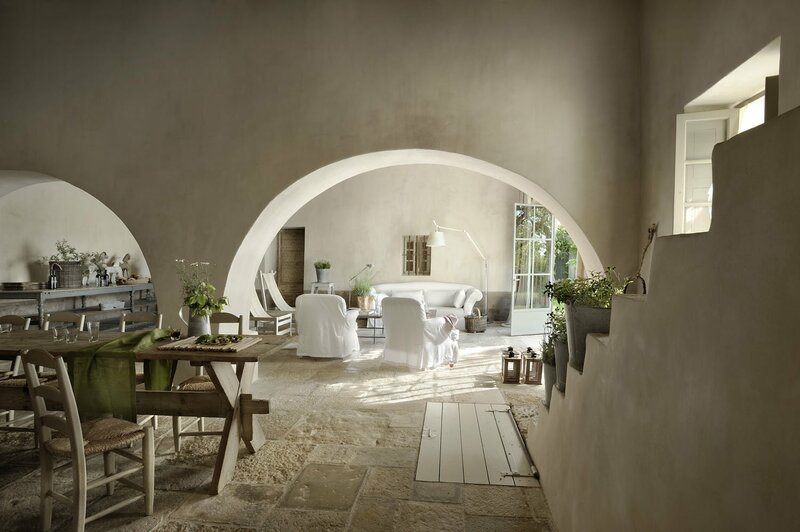 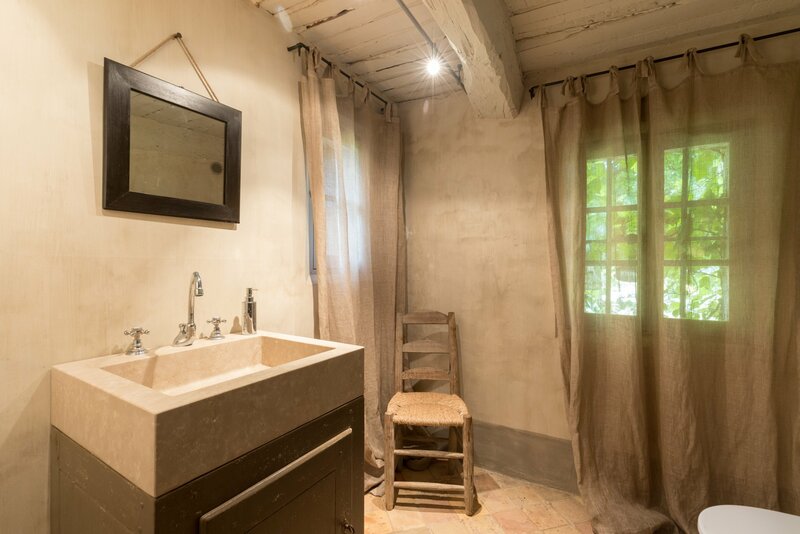 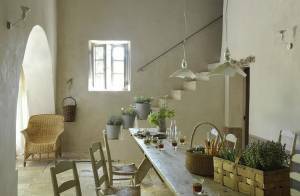 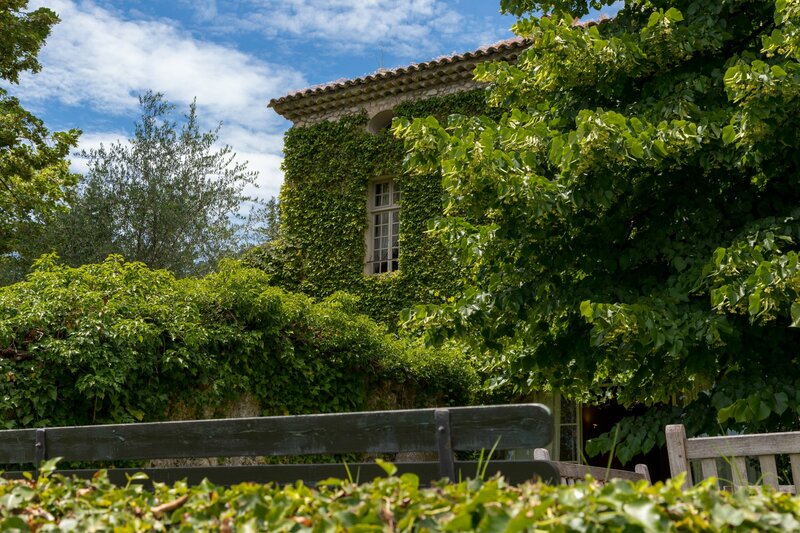 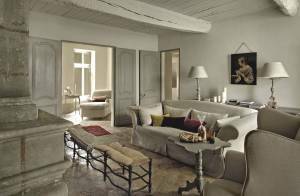 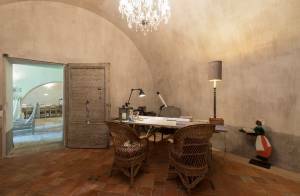 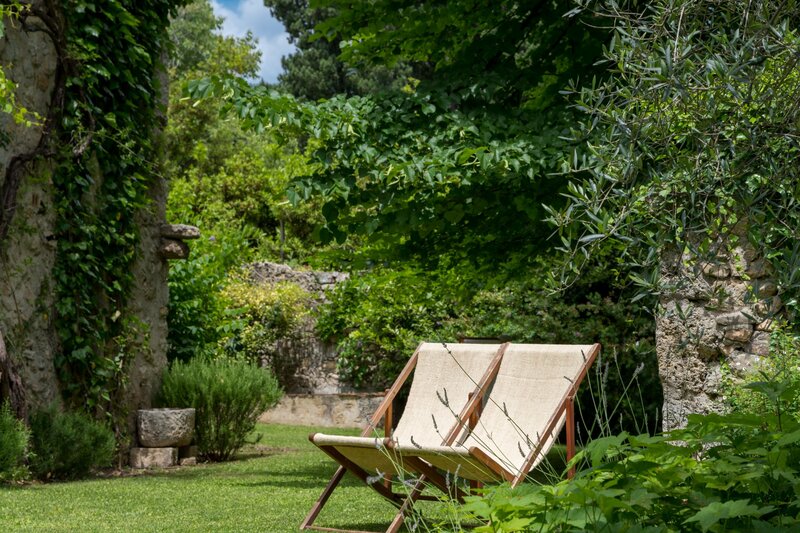 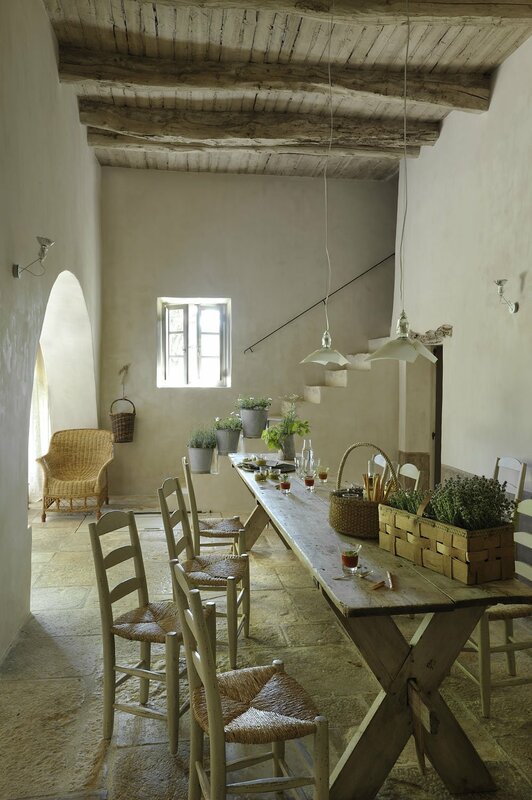 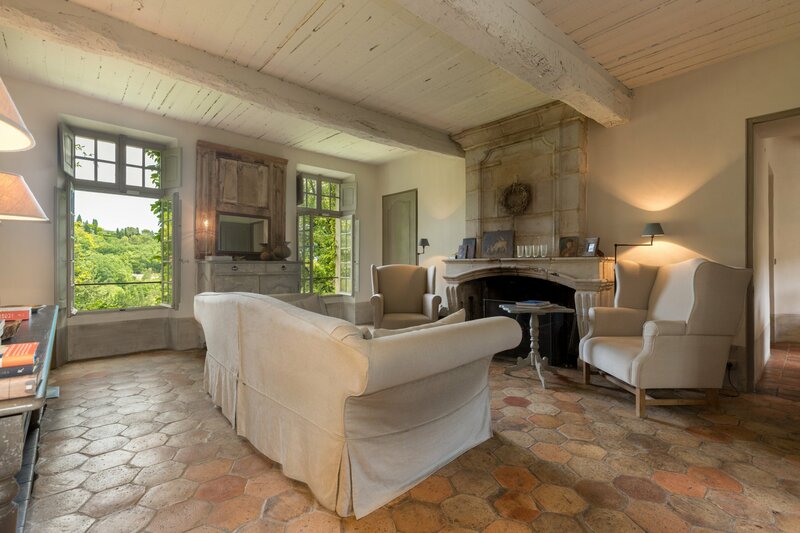 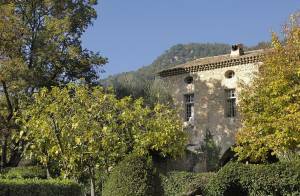 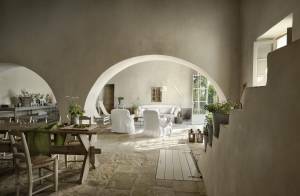 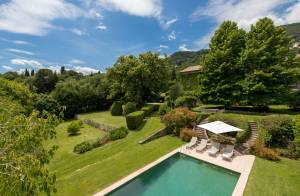 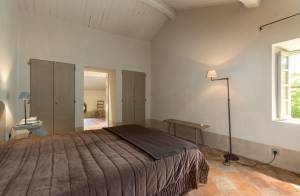 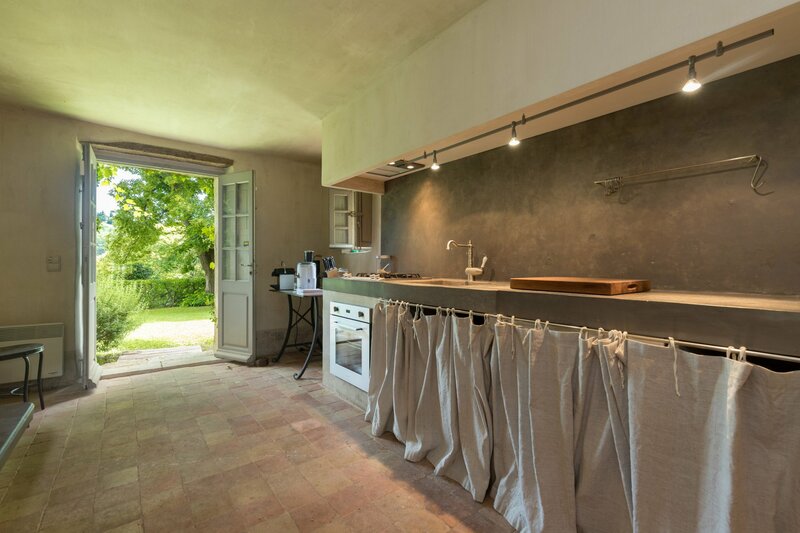 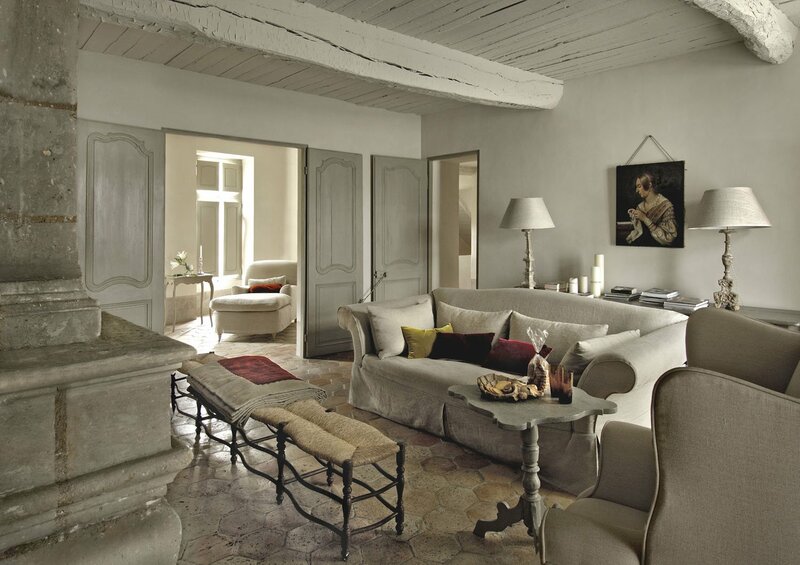 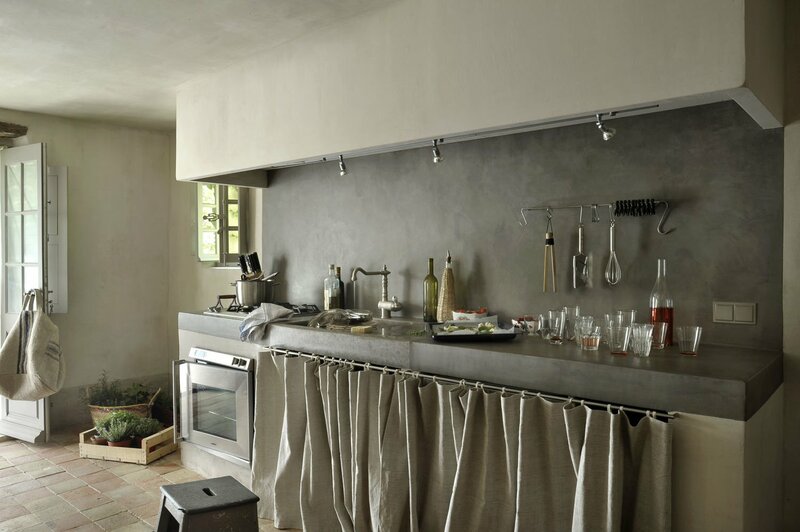 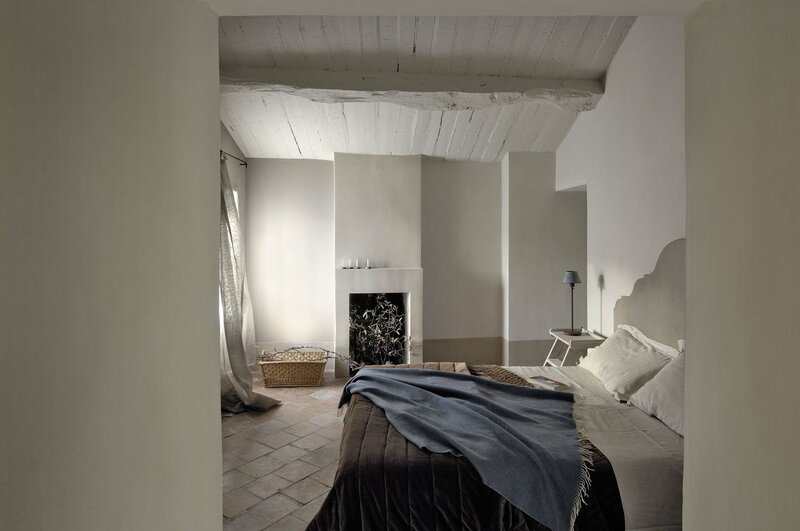 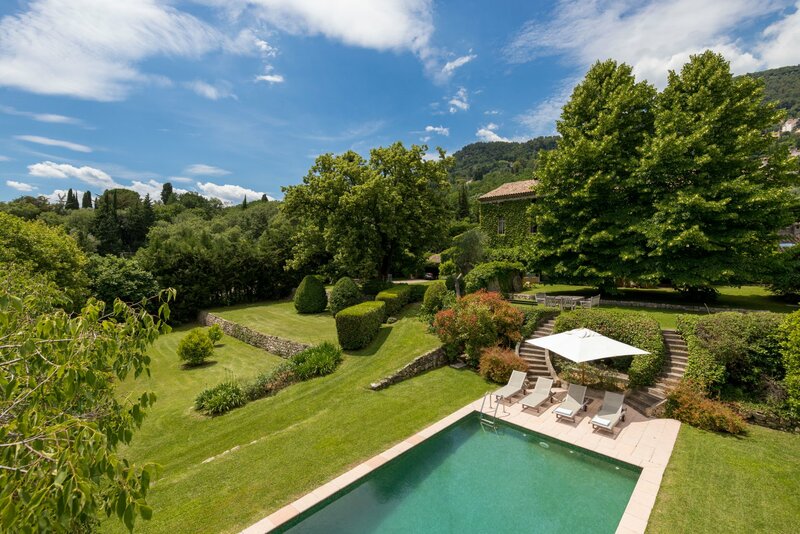 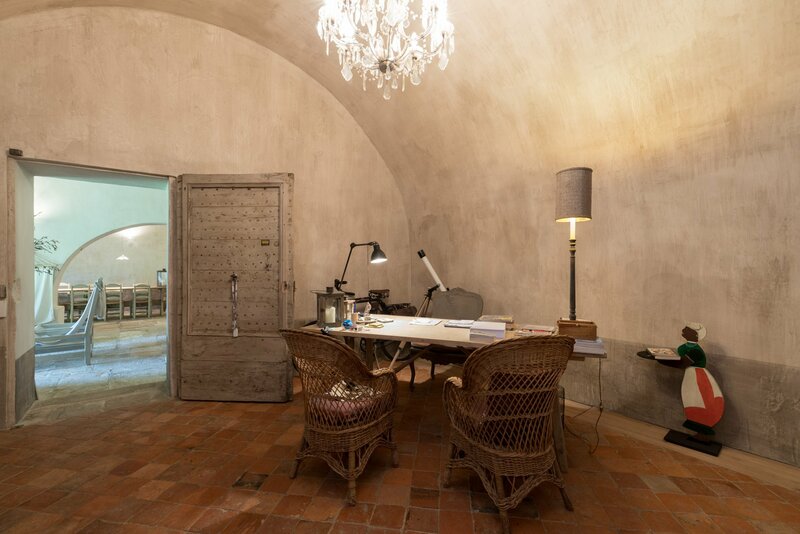 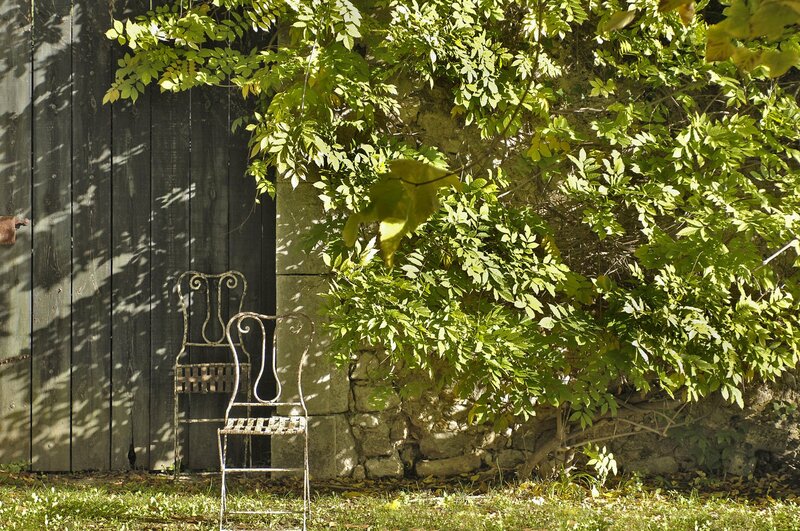 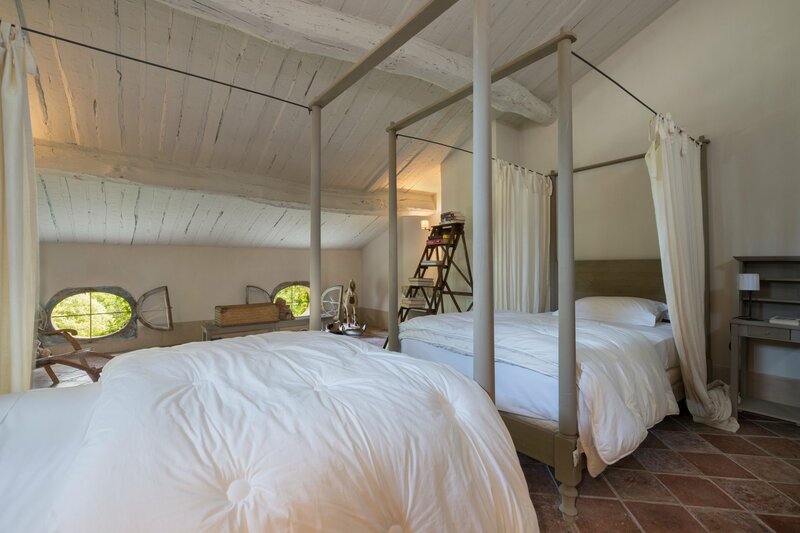 This gorgeous water mill dated back from the C17th is available for rental in Grasse. 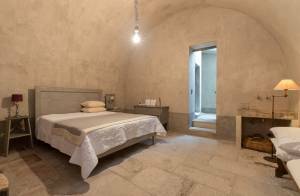 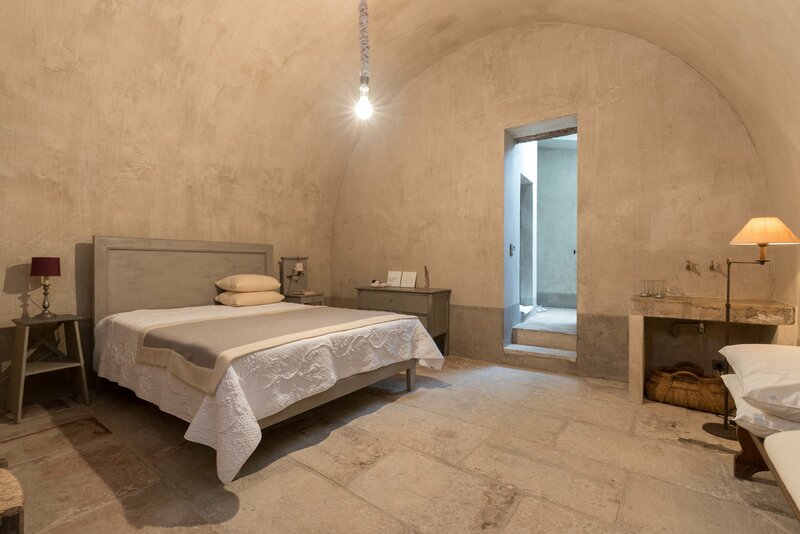 It can welcome up to 14 guests in 7 bedrooms. 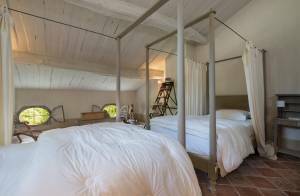 Available for seasonal rentals and yearly rentals. 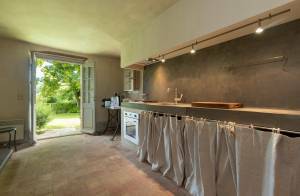 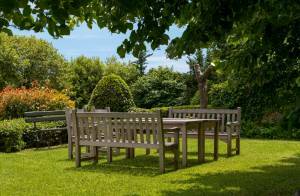 Ground floor: Summer linving area with dining and kitchen, office, guest facilities, laundry, 1 bedroom with double bed (160cm) and shower room. 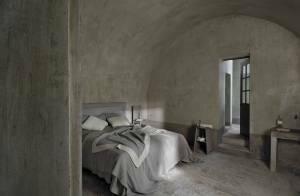 1/2 level: Air conditionned bedroom with terrasse, 2 single beds (2x90cm)ensuite shower room. 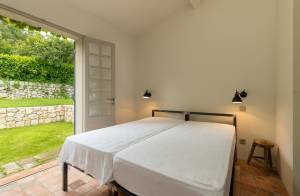 1st floor: living room TV room, dining room and equipped kitchen, 1 bedroom with double bed (160cm) and shower room. 2nd floor: 1 bedroom with 2 single beds (2x90cm), 1 bathroom, 1 bedroom with double bed (160cm) et ensuite shower room. 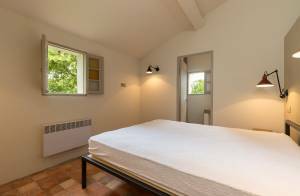 Guest house: Kitchenette, living, 1 bedroom with double bed (160cm) and ensuite shower room, 1 bedroom with double bed or 2 singles (2x80cm) and ensuite shower room. 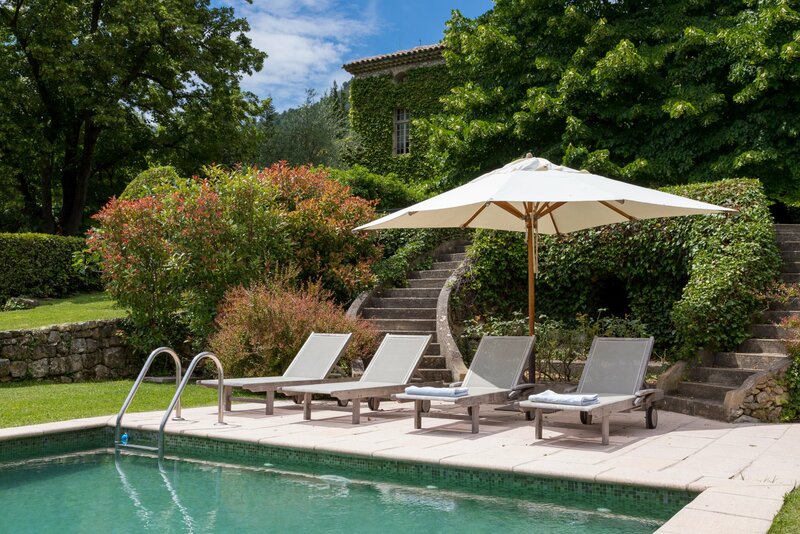 alted pool 11 x5m, 6 loungers, 2 parasols, exterior dining table, barbecue, WIFI, Alarm, Italian TV, DVD player, Car park for 1 car, numerous car spaces.